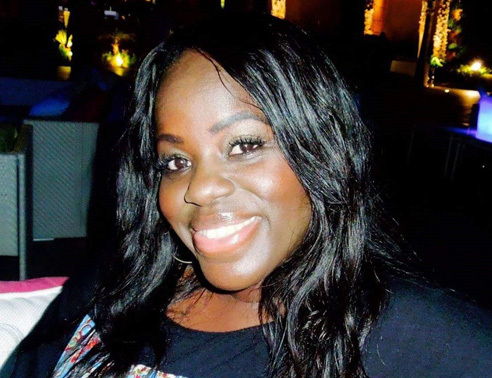 This week the spotlight is on Sonia Abrams, Senior Events Manager in the Office of the Vice-Provost Development (OVPD), currently working on this year's It's All Academic Festival. I'm a Senior Events Manager (live events) in the Office of the Vice Provost Development (OVPD) based within the Supporter Comms team. My role involves coordinating and planning large scale engagement events for our key audiences including donors, supporters, alumni and students as well as bespoke international events. I've been at UCL for 4 years 5 months. I was previously an Events Manager in Communications and Marketing (CAM) before being seconded to OVPD in April 2016 to work on the campaign launch events for a year. Being involved in the UCL Campaign launches in London, LA, NY, Shanghai, Hong Kong and Beijing was a great experience and kicked off the campaign with impact. I'm currently working on the It's All Academic Festival which is taking place on Saturday 15 September 2018. The inaugural festival took place in June 2017 and over 1,500 people attended. This year the festival will include over 50 activities taking place on the Bloomsbury campus, including the flagship event exploring The Future Human with city planning expert Peter Rees, materials scientist Mark Miodownik, physicist Chamkaur Ghag and computer scientist Sarah Meiklejohn. Broadcaster Vivienne Parry will chair the debate and the audience will have a chance to ask their questions to the panel. The Alumni Lounge is a key feature which received great feedback last year. Based in the Jeremy Bentham Room, this is a place for alumni to reconnect with each other, view the transformation of the campus, sign up to the Alumni Online Community and hear more about the It's All Academic Campaign. Many departments across UCL are involved in the festival and we have some great content including How Clean is your Phone?, a geology tour, Enter the World of Entrepreneurship pop-up, and a talk from Professor Albert Weale on The Will of the People: A Modern Myth. Top of my to-do-list is building the festival app and working with Green UCL on ways to make the festival a sustainable event. A. Because 7 ate 9. Victoria and David Beckham, Richard Branson, Michelle and Barack Obama, Marilyn Monroe, Idris Elba, Madonna, Simon Cowell and Tom Kerridge (to cook obviously). Say yes and you'll figure it out later. Lots of great opportunities will come your way and if takes you out of your comfort zone, that's ok. I worked in television for a short while and auditioned to be a Nickelodeon TV presenter when I was 20.